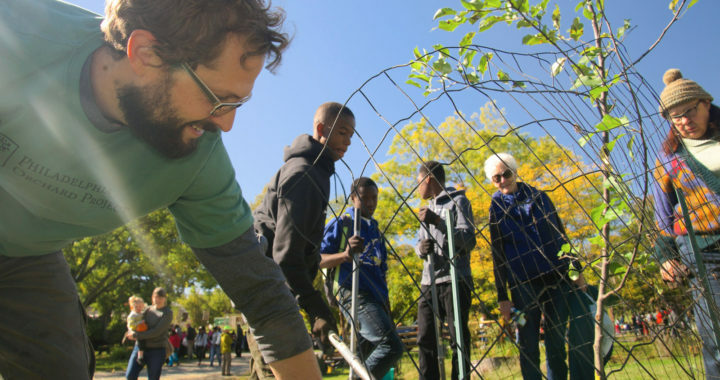 Planting fruit trees in under utilized areas, downtown green spaces, parks, etc. Many people in Lowell crave tropical fruits, but they are not easy to grow here. Also, there is a shortage of fruit of all types for people or wildlife. I propose planting fruit trees such as apple, apricot, mulberry, and hardy Meader persimmons in out-of-the-way areas that could benefit all for free. Maybe the canal walkway would be one place. I thought of this a long time ago when there was an apricot tree in the Acre (Sufflok St.) One year it was so full of fruit it was orange from a distance. The next week when I went by, it was gone. I asked a boy on the property what happened, and he said “My Dad cut it down.” Sadly I asked why, and he said, “It had too much fruit.” It seemed that people were bothering them to get some fruit. The day I closed on my house I ordered an apricot tree in memory of that unappreciated one. The Whistler House had a similar problem with an apple tree. Fruit is nutritious and expensive. Low-income people in particular don't get enough because of cost. Growing some locally would help these people as well as pollinators, helping to form a reserve of pollinators for gardens. It would be good for the environment because fruit bought at supermarkets is sprayed and transported mostly from far-away places, adding to our environmental footprint. People could work together to make preserves, too. It would provide fresh fruit to the community while adding greenery to the city. City has been hesitant to plant fruit trees because of soil contamination issues. There was a great proposal by MIT Urban Planning students to create an orchard on the Gorman Street extension (Back Central between Pine Hill & Kinsman); city owed brush covered terrace. Perhaps we should should get the soils tested to enable fruit tree plantings. Possibly the soil and plant testing laboratory at UMass Amherst could do the analysis. Mill City Grows has several community gardens in Lowell and one of their assumptions is that all city soil has contaminants. They use raised beds with bottoms covered with landscape fabric and all soil brought in from vendors like Mahoney’s. They do not test the soil. Testing the soil is problematic due to potential legal issues if the soils is found to contain a high level of contaminants. I am a bit fuzzy on this but I think that if the soil is contaminated it is incumbent on the owner to begin lead abatement which is very expensive. Thanks for the message! The Fruit Trees group is developing a few strategies to deal with this, but they know more about their plan than me! I’ll forward your message on.